Christian Sharps was best known as the inventor of the Sharps rifle, considered one of the finest carried by Union Soldiers during the Civil War. Towards the end of his life he came to Vernon and created a trout farm at Valley Falls. Christian Sharps was the inventor of the first successful breech loading rifle. He was born in Washington, NJ in 1810, married Sarah Elizabeth Chadwick and had two children. He began work as a youth when, it is believed, he was an apprentice to a gunsmith in Washington, NJ. He then accepted an entry level position at the Harpers Ferry Arsenal in the 1830s. While at Harpers Ferry, Sharps was introduced to the Hall rifle, an early breech-loader, and worked for its inventor, Captain John H. Hall. The deficiencies of the Hall rifle may have caused Sharps to adopt his new design. Sharps also became versed in the manufacture of weapons with fully interchangeable parts. Sharps was issued a patent for his design in 1848, one of fifteen firearms-related patents he was awarded. Although not the first breech-loading rifle, Sharps' was the first to be accepted widely and, with the onset of the Civil War, the first to be produced in large quantities. The Sharps, in a carbine version, was the most widely-used cavalry carbine by the Union Army. Sharps designed firearms later saw extensive use in the American West as military and hunting weapons becoming the preferred gun of buffalo hunters because of its power and long-range accuracy. Although the Sharps Rifle Manufacturing Company bore his name, Christian Sharps was not the company's principal owner. He left the firm, first to form C. Sharps and Company in 1853 and then Sharps & Hankins in 1862. Both firms were located in Philadelphia. The Sharps and Hankins partnership ended in 1866 and Sharps resumed the manufacturing of firearms under the C. Sharps and Company name. 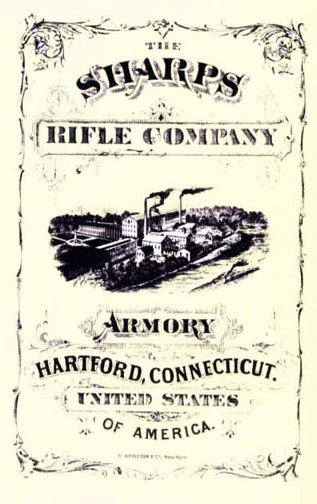 Some of his rifles were manufactured in Hartford. 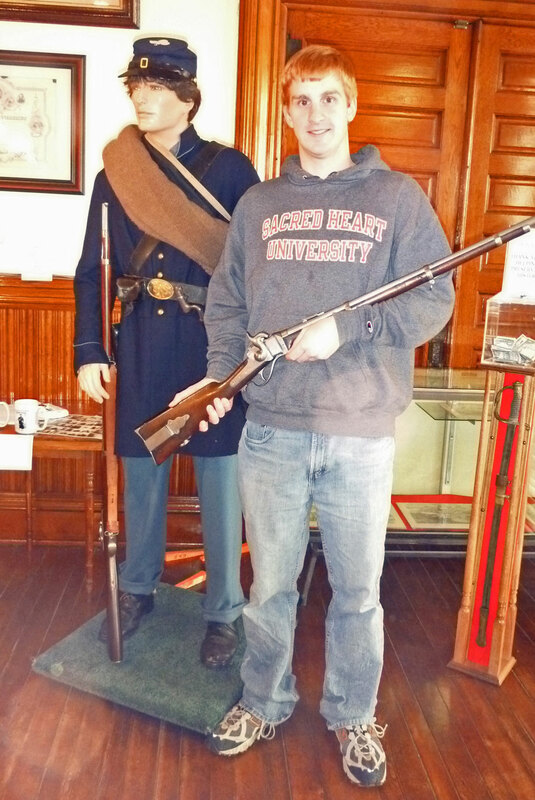 The New England Civil War Museum on the second floor of Town Hall is one of Vernon's hidden gems. Included in their collection are examples of Sharpes rifles as used in the Civil War. In 1870, at the age of 60, Sharps and his family moved to Vernon, where he continued working on firearms design and started a large trout farming business as the demand for large production runs of rifles had diminished by this time. Through his military connections, he knew that a Col. Thompson had successfully opened a fish hatchery in West Springfield, and this may have led him to search for a likely spot to open a similar business in this area. In 1871, Samuel Bradley sold the 150 acre 'Anson Lyman Farm" at Valley Falls to Christian Sharps of Philadelphia for $9,000, with Mr. Bradley holding the mortgage. In a separate transaction, Sharps’ wife, Sarah Chadwick Sharps purchased 15 acres and a house from Nathaniel Talcott near Vernon Depot. 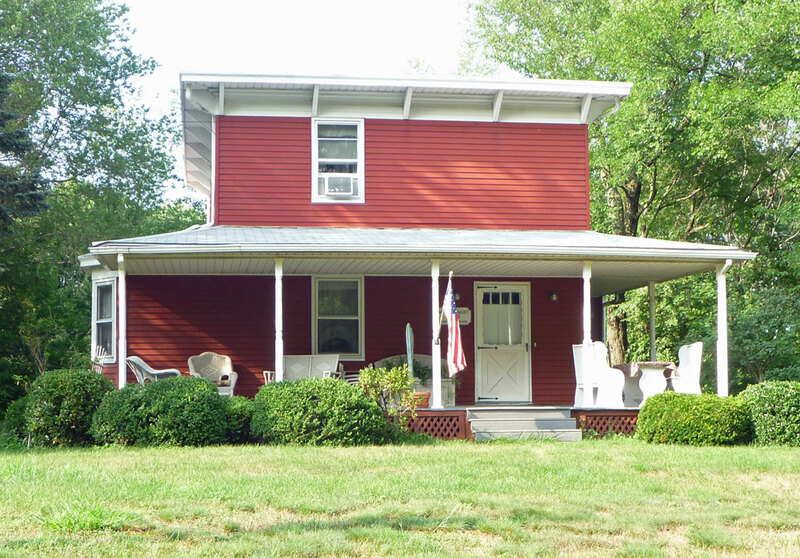 This house still stands on Birch Road and bears the Vernon Historical Society marker identifying the house as that of "N. Talcott". Sharps established a trout breeding business on the farm, built a cottage at the south end of the pond and installed pools, pentstocks and a hatching facility. He had a capacity to hatch 300,000 trout per year. A full description of his facility can be found in the Tolland County Journal of July 25, 1873. Some sections from that article are as follows: "In order to secure enough of this favorite stream to work out successfully ... Col. Sharps (decided to buy) the Bradley farm....by agreement with the owner of the mill, Col. Sharps has control of the pond. About a half mile south of the mill... a one story cottage has been built ..for the use of the man in charge. There is a hatching house furnished with galvanized iron troughs through which the water is continually kept flowing. ...Choosing of their mates by the males is sometimes a serious business fight one another....the females take no part in the strife. In a pool of 2 to 3 rods square and 2 to 3 rods deep, upwards of 1,000 lively fellows... spend their time sporting and jumping about. If his (Col. Sharps) expectations are realized, he will be the largest trout producer in the United States. The profits from trout farming in the late 1800s were potentially staggering. Unrestricted fishing, pollution, dam construction and other factors had severely depleted the nation's trout supply, making the delectable fish prohibitively expensive. Historians say that a hatchery producing 20,000 fish a year could make $10,000 or more in profits. Sharps, who built his facility to hatch 300,000 trout a year, was planning to expand it to produce 500,000. Archaeologist Mary Harper discovered during her research that Sharps used iron troughs while his competitors settled for carbonized wood. He added berms to protect the fish from occasional floodwaters, and hired away his competition's best caretakers. Sharps would have brought in thousands of dollars in 1874, as soon as he sent his first shipment. Once the profits started pouring in, he told others, he planned to take a Florida vacation to allay his nagging cough. 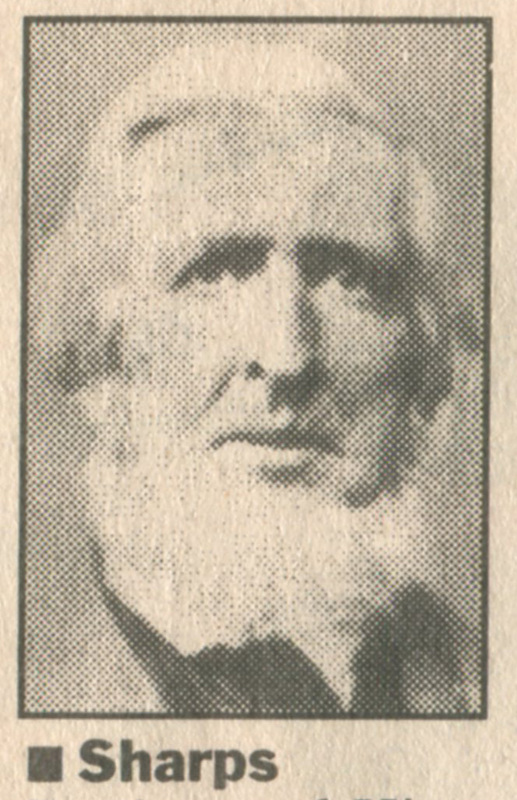 Christian Sharps, succumbing to tuberculosis, died suddenly on March 12, 1874 at age 64 at his home in Vernon Depot. Upon his death, his body was placed in cold storage in Vernon. Soon after, his body was taken to Lincoln Hall in Philadelphia for viewing. He was said to have been buried with one of his rifles. The trout raising facility was abandoned after his death, and his family left Vernon. After Sharps’ death, Samuel Bradley reclaimed the property and over the next 35 years, the property was transferred among purchasers on at least ten occasions. Purchasers came from as far as New York City and Buffalo to buy the famous man's trout farm. He left behind trout orders never met, expenses never paid and dreams never accomplished. Not much remains to mark the location of the trout farm up Railroad Brook at the south end of Valley Falls Pond. In 1997 the long-forgotten site of Sharps' ambitious Vernon fish hatchery was named to the National Register of Historic Places. 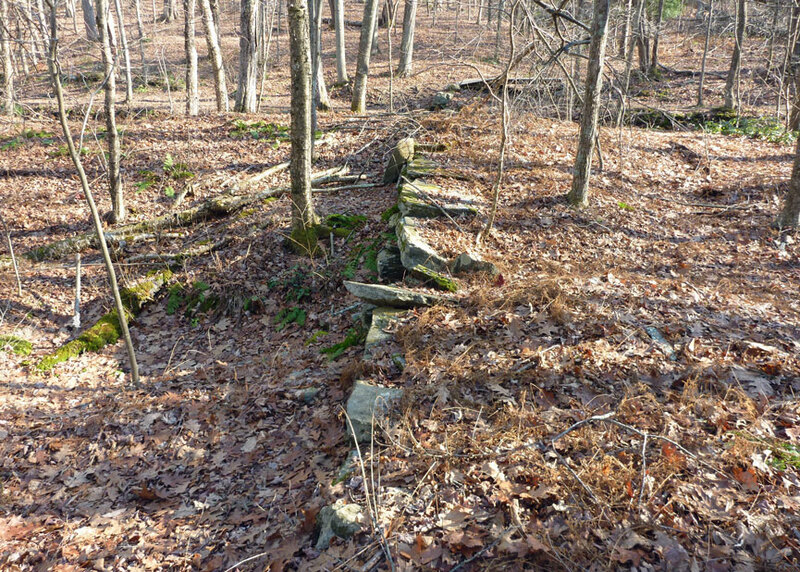 The site was documented by Mary Harper, a Storrs archaeologist, who was hired by the Connecticut Historical Commission to review the site and write the nomination to the register. The breeding troughs, screens and other items are still buried below layers of leaves and sediment and covered by thorny brush. If you know where to look and go in the winter there are the remainders of stone foundations, depressions in the earth and remnants of dams. Although the farm is long gone Valley Falls Pond is still a favorite place for catching trout - on the first day of trout season or throughout the summer. It is also one of only eleven state designated Trout Parks. Special events held at the pond include a day of activities for blind students. Learn about Valley Falls Trout Park. 'History of Valley Falls Park' by Carol & Ronald Burke. Hartford Courant July 21, 1997 article by Stephanie Reitz on Sharps Trout Farm. New York Times March 16, 1864 death notice. YouTube video showing Sharps rifles.